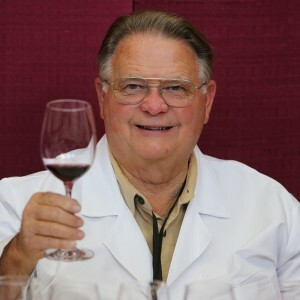 DeWayne Holmdahl is the host of the Wine Show, “From the Growing of the Grape to the Glass” on AM 1440 & AM 1410, also streamed online at AM1440.com, on Saturdays from 4:00 p.m. – 5:00 p.m. Pacific Time. DeWayne Holmdahl has been a resident of Santa Barbara County since 1944. During the period from 1963 to 1980, he was Director of the Santa Barbara County Farm Bureau and a State Director of the California Farm Bureau Federation. As a Director of the Santa Barbara County Fair, he promoted the first wine judging event, which attracted 47 local wineries and 200 varieties of local wines. Holmdahl, as a Santa Barbara County Supervisor, was also instrumental in helping to promote the “wine and veggies” event in Washington DC kicking off California Tourism Month in 1985. As a Lompoc City Councilman, he has worked with the wineries and vineyards in the Santa Rita Hills Appellation which is just east of the city of Lompoc. I am pleased to be back as a wine judge for 2010. Along with his background and support of the wine industry, Holmdahl brings to his listeners valuable and interesting information on WINE-from the “Growing of the Grape to the Glass”. You can learn more about DeWayne’s wine show at www.grapetotheglass.com.